It was on this day in 1978 that the Phillie Phanatic made his first ever appearance as the official mascot of the Philadelphia Phillies. 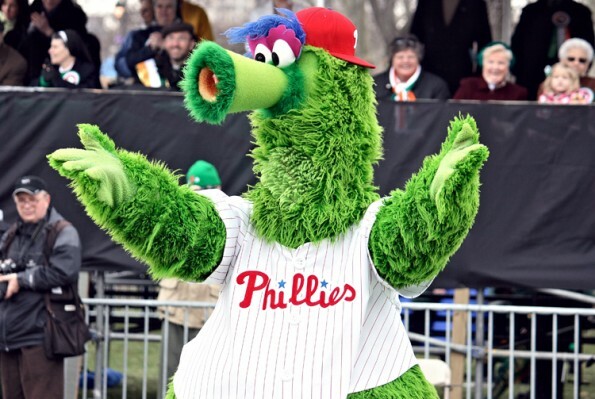 The Phanatic has remained a staple at Phillies games, as he can always be found on the field fooling around with members of the opposition, or in the stands interacting with the fans in Philadelphia. It is because of his antics that he was named the best mascot in sports by Forbes Magazine and Sports Illustrated for Kids. Here is a montage of the Phillie Phanatic.